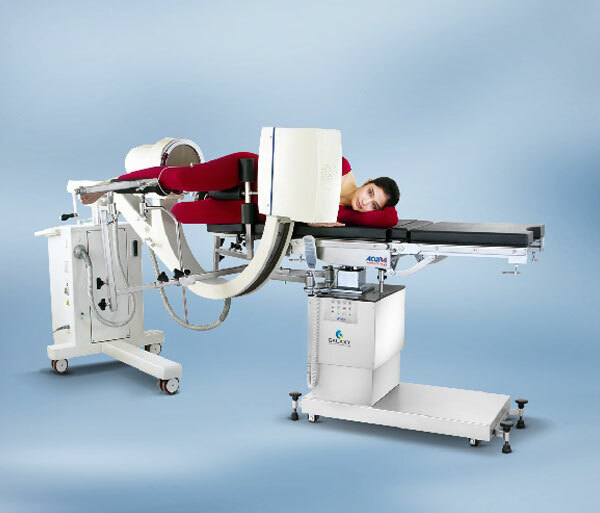 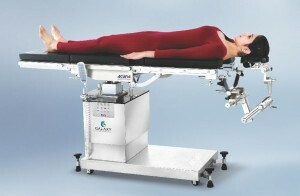 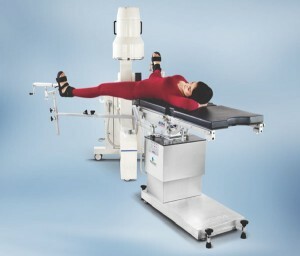 Five section eccentrically positioned radio-translucent table top without cross members facilitates C-arm imaging. 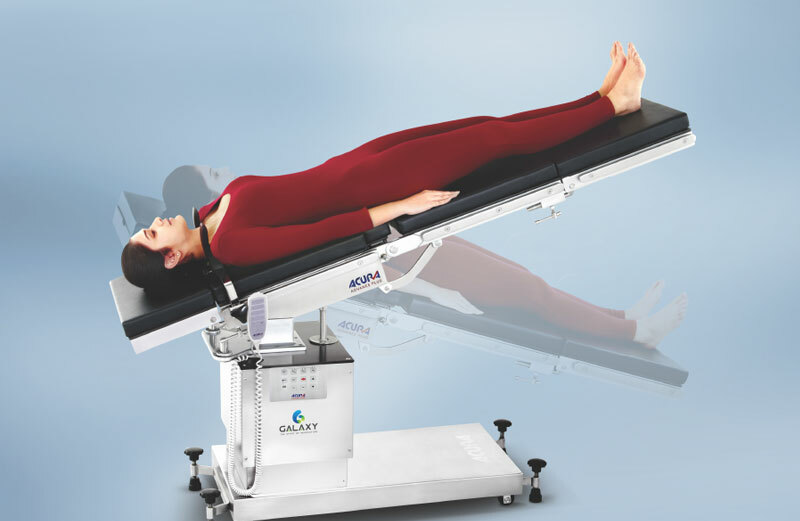 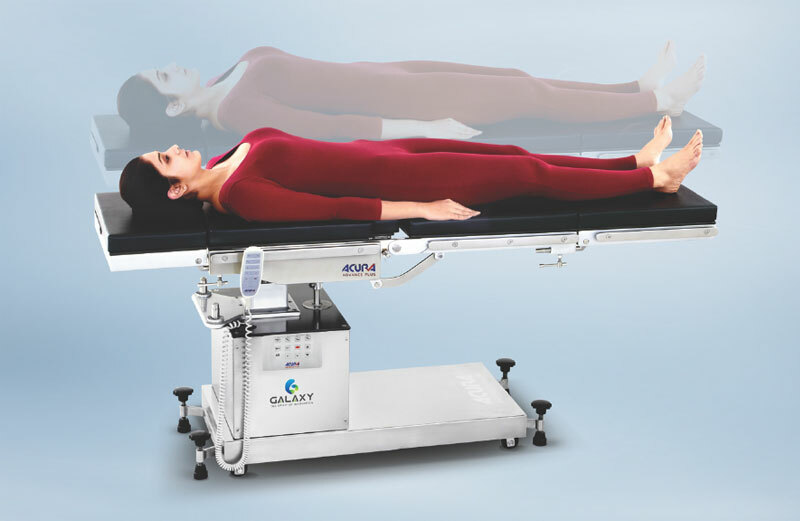 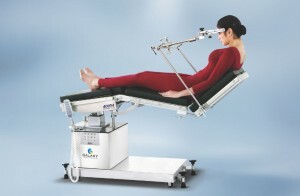 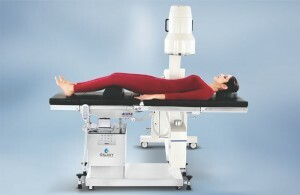 The table top is made of specially developed radio-translucent material for excellent fluoroscopic capability. 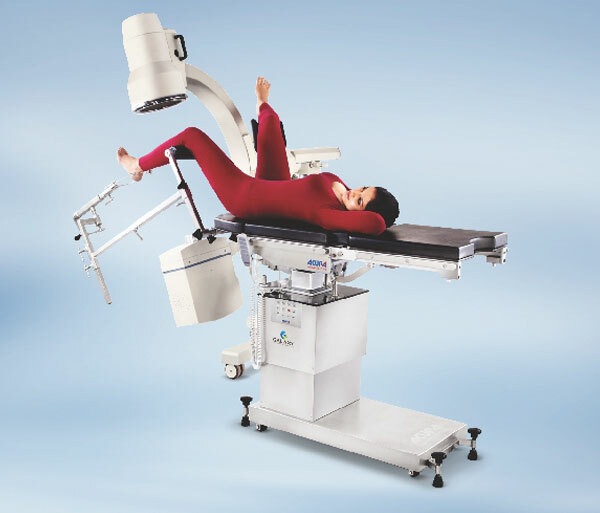 Operating positions i.e. Height adjustment, Trendelenburg, Reverse Trendelenburg, Lateral Tilt and Back Section are precisely and smoothly controlled by cabled handheld Remote using Linear Actuators from LINAK A/S, Denmark. A low voltage system is used to ensure safety of the user. The Head and Foot Section are removable and interchangeable, capacitating a single table’s use in varied surgical procedures. 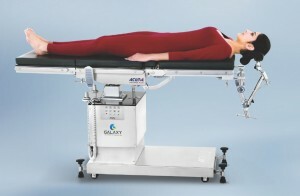 These are manually operated by means of ratchet system. 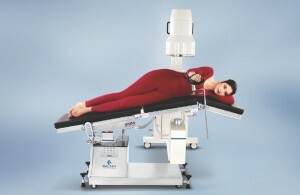 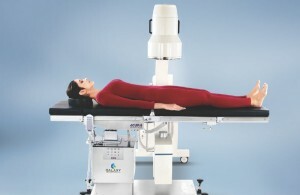 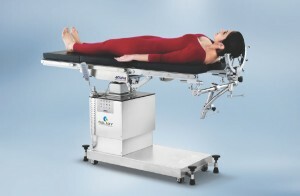 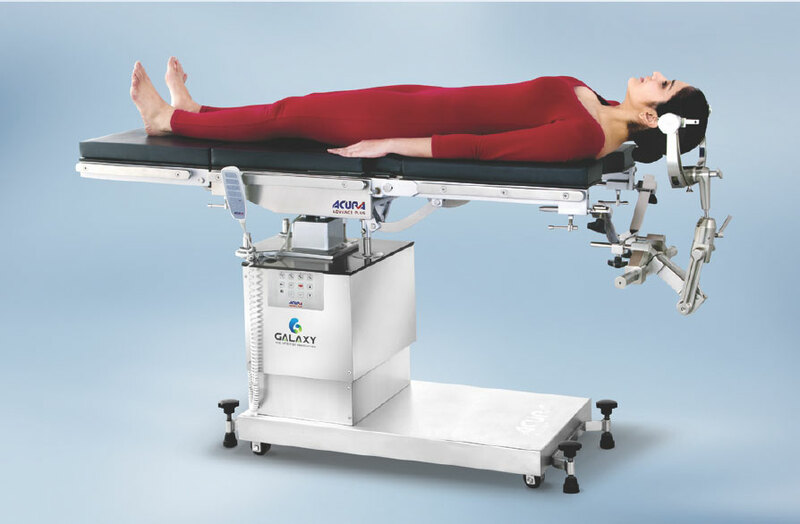 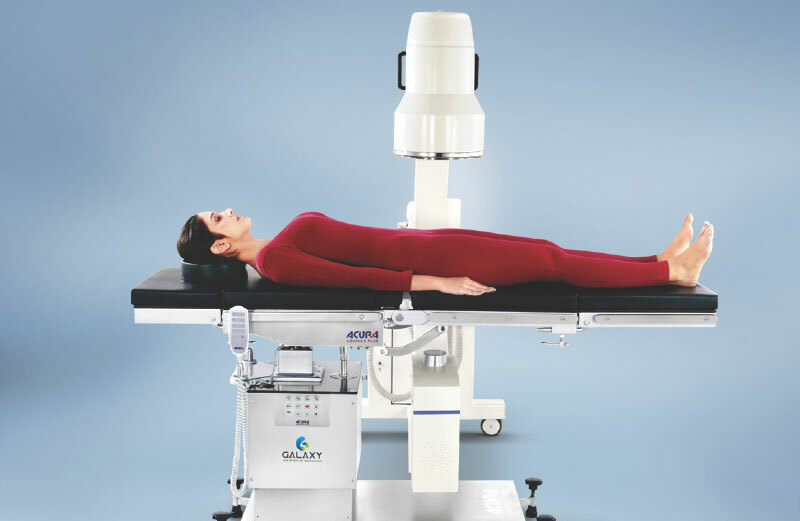 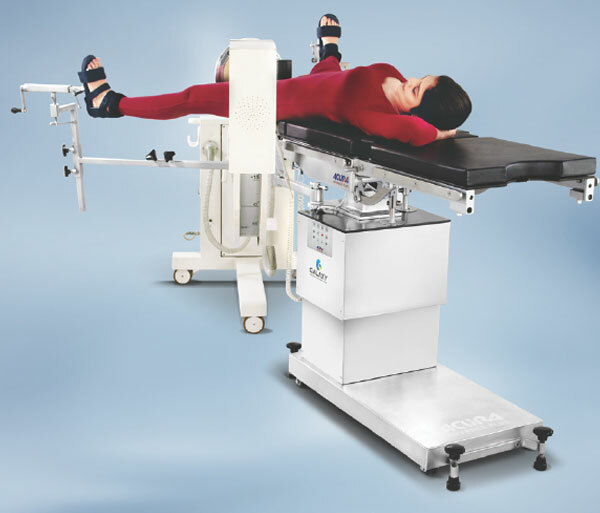 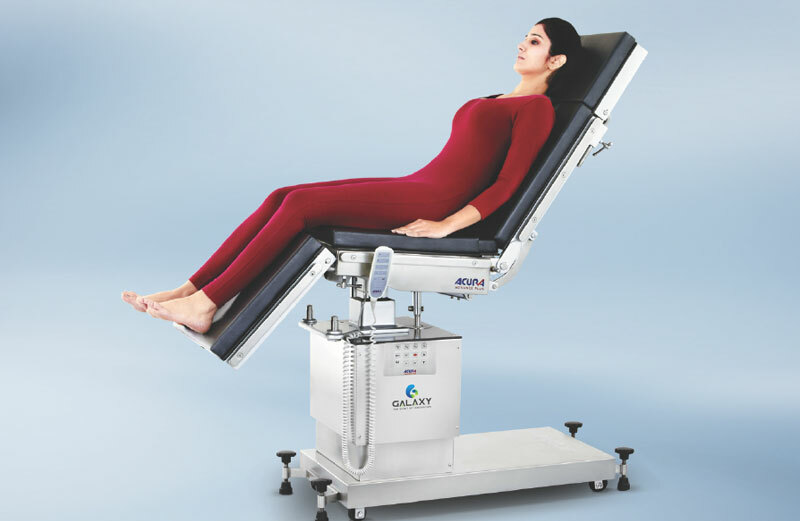 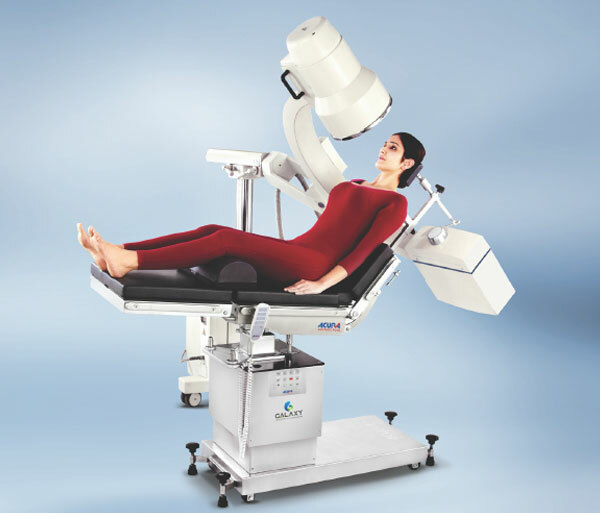 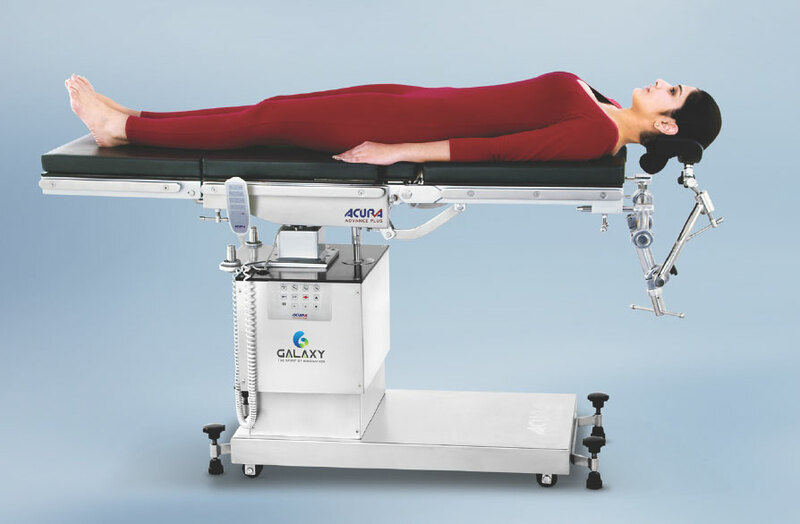 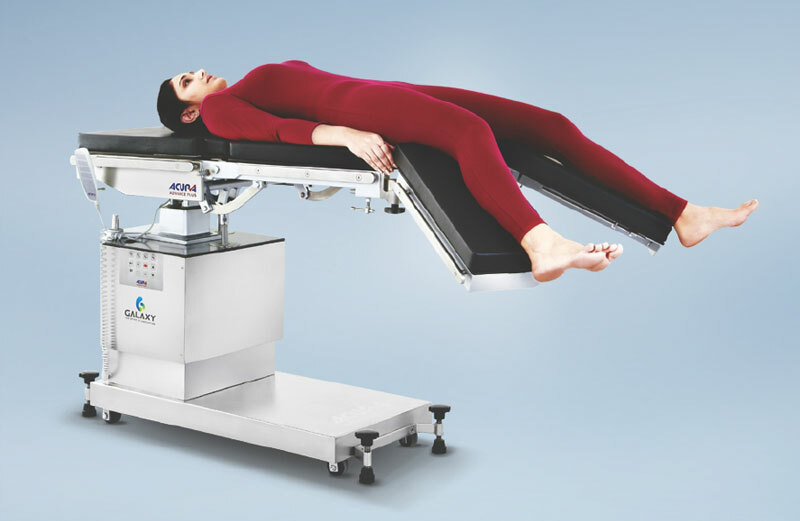 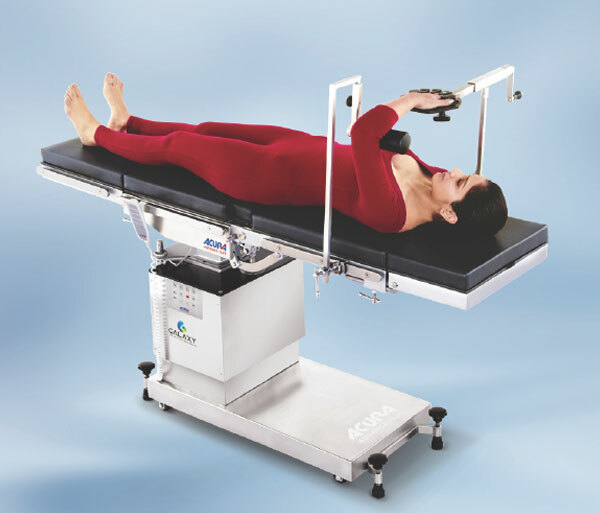 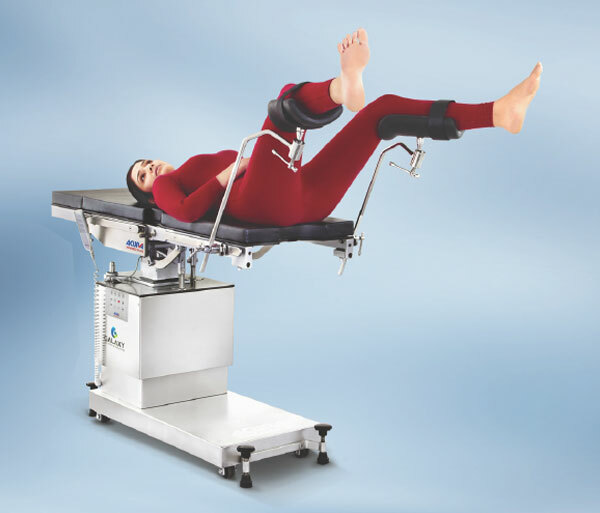 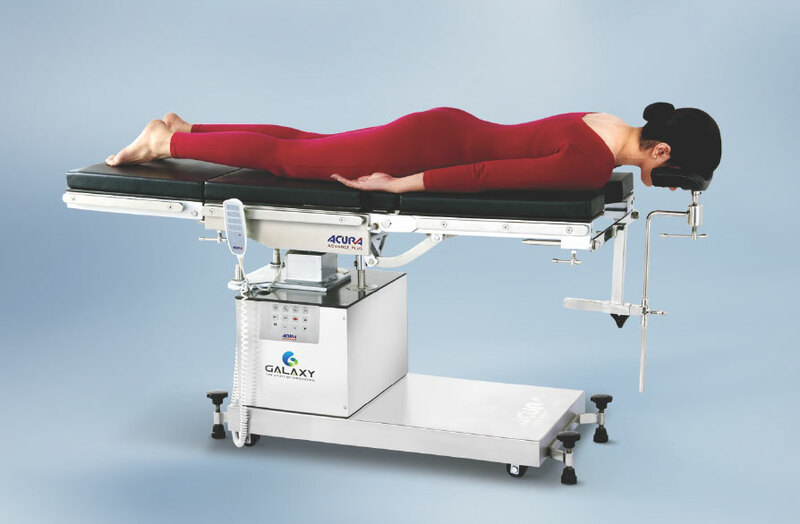 Built-in manually operated Jack-type Kidney Elevator flushed with the table top without any protruding part thus allowing enhanced C-Arm Image Intensifier maneuverability. 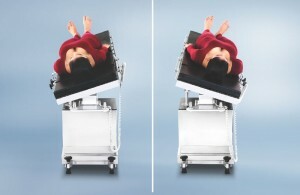 Non-corrosive SS304 Grade Stainless Steel base and cylinder covers for easy cleaning and hygiene. 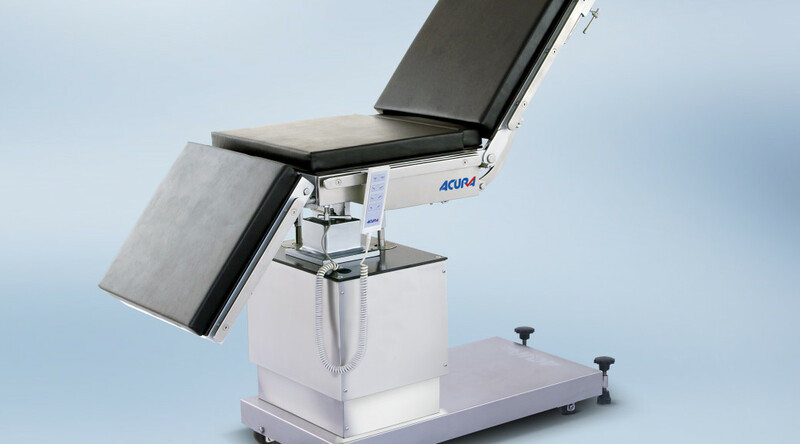 Beautifully finished with silver metallic PU paint and all stainless steel parts are matt finished.